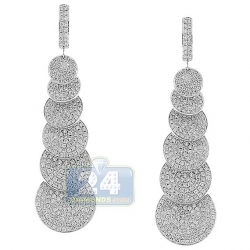 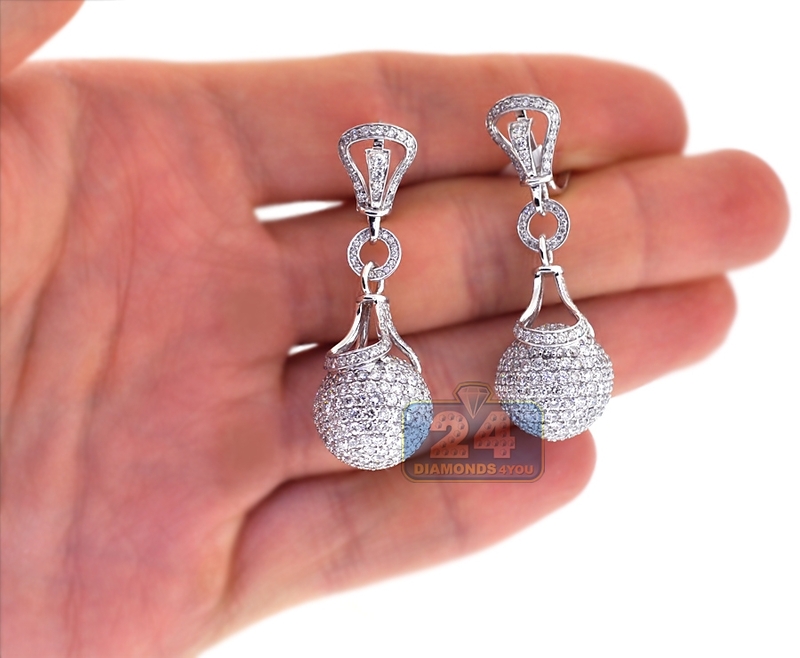 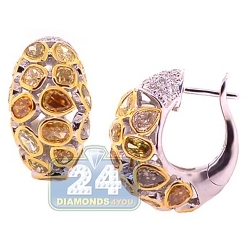 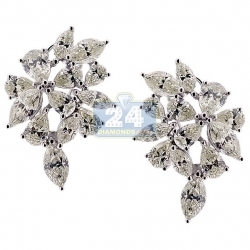 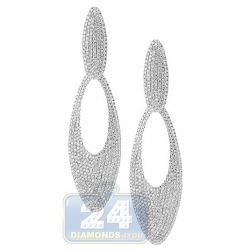 Brilliantly marvelous, our pair of diamond ball earrings makes an unforgettable statement! 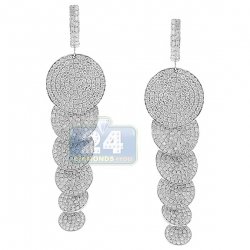 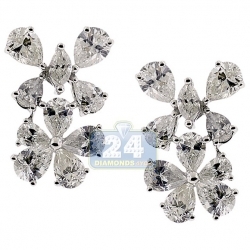 They are masterly handmade of lustrous 18k white gold, and studded with 9.91 carats of icy white round brilliant-cut genuine diamonds, VS1-VS2 clarity, F-G color. 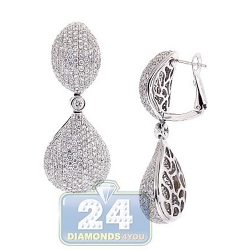 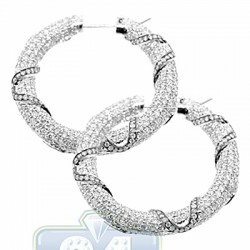 These dangle earrings are nothing short of spectacular! 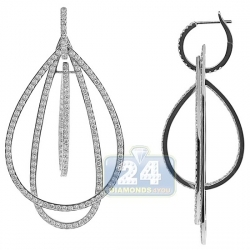 Earrings are a part of the set. 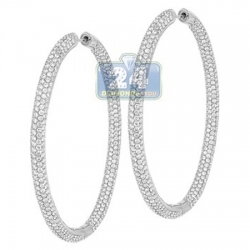 A ring is also available.